Gildar Gallery is pleased to present its third solo exhibition by the artist William Stockman titled "Belle Epoque." Based in Denver, for nearly thirty years Stockman has been known for his paired-down drawings and paintings that reduce everyday imagery into evocative otherworldly forms. How do you talk about the artwork of William Stockman without talking about the person Bill Stockman? His paintings and drawing are tied directly to his specific pathos – a sensitive hand feeling its way through the mundane and the spectacular in daily life. Stockman sources a wide array of images that come into his view, stripping away particulars to uncover an essential and subtle charge. 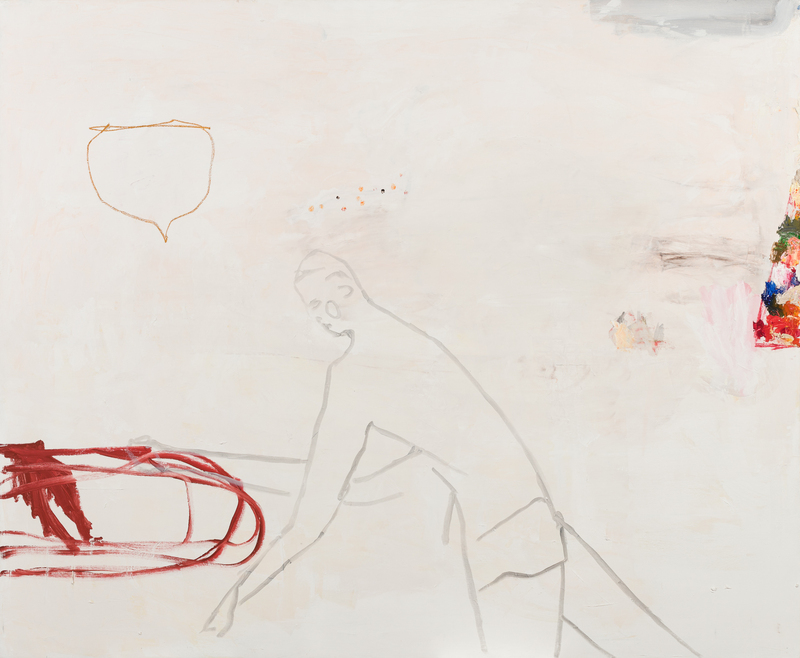 Current affairs, historical ephemera, goings-on around his home, advertisements, natural observations, economic diagrams – all this brick-a-brack filters through the artist’s hand via charcoal and pigment into stark and somber compositions on page, panel and canvas. Stockman’s drawings and paintings bring to mind the emergence of the cave paintings in Lasqaux and the immediacy of Chinese and Japanese literati ink scrolls, or, more recently, the dark cartooning of Philip Guston’s drawings and the active fields in Susan Rothenberg’s paintings. And like these masterful examples, Stockman’s own marks contain the unmistakable identity of its maker. His distinct ability allows him to take the chaos of competing information, a staple of any post-modern diet, and transform it into equally weighted elements surfacing in a gauzy landscape. ‘Weight’ being a key aspect, with just a few strokes Bill reduces forms into, as he often puts it, “almost nothing,” while also transmitting gravity in what remains. These symbols that straddle a certain heaviness and being ‘barely there’ don’t, however, come together into a narrative, which is always a type of fiction making sense of things. Rather, they gather together to form a real mood, one in which the quotidian and the grandiose feel similarly fleeting. "It's hard to say from where exactly a painting arrives. The process of making them, even after 20 years, is still murky to me. In essence, my paintings are really a kind of elaboration of drawing, which is the thing that by temperament and natural ability I'm most suited to. They are an attempt to wring something more out of the tiny drawings I make which are the expression of a kind of physical thinking. Years ago, I would make drawings mostly from things I saw or read about each day in the newspaper. I came to think of them as remnants of an of internalization of the wider news of the day, and as an elegy of sorts for a vanishing media, but mostly those drawings were born out of a long held habit picked up as a young man, of simply reading the daily paper. The papers are gone now, of course, and thanks to the wonder and the horror of the internet, the stuff that I look to when I draw these days is much more rangey. For a while, I had begun looking at newspapers and illustrations from the late nineteenth century, the era of yellow journalism, which led somehow to looking at sheet music cover illustrations from the same time from which a number of the images in this show are derived. There was also a period when I paired drawings down to simple, almost graphic cartoons; crudely drawn and without much rendering, and some of those images are in these paintings too. In the making of many of these works I have taken elements of traditional painting - preparatory drawing, line, color, etc. and organized them as a kind of assemblage of distinct items where no particular thing holds sway over another; where no one thing matters most and where all things are equal."